A great short-lived annual herb that has a ferny foliage which is highly attractive and delicate. The plant is compact, making it ideal for growing in small containers, in the garden, or windowsills. It will grow to approximate 15" to 20" tall. 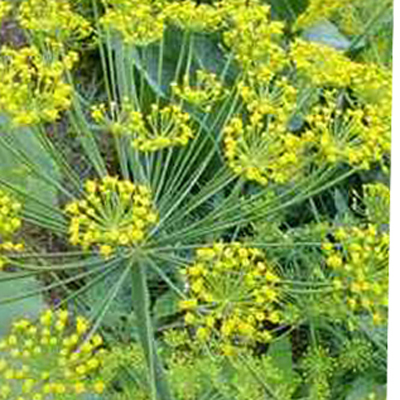 herb seeds (dill seed) are used as a spice, and its fresh leaves (dill) and its dried leaves, (dill weed) are used as herbs.